The Pool Shop @ Monument Park Shopping Centre. The Pool Shop is guaranteed to leave your pool clean and sparkling. We offer a wide variety of pool maintenance services, including Installation of Pumps and Filters, Leak Repairs and Weekly Pool Maintenance. 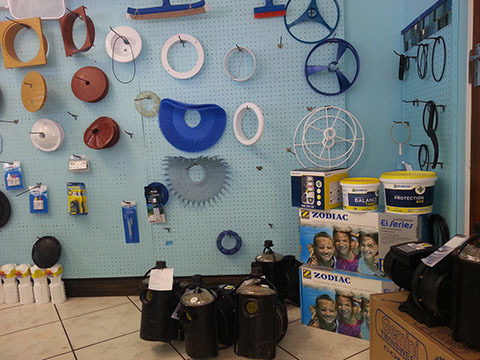 Visit the Pool Shop now to receive quality pool products for a clean and fresh pool. The Pool Shop @ Monument Park Shopping Centre, The Pool Shop was founded by Mervyn Macaskill in 1989, having formerly been the owner of Pretoria Pest Control Services, and has very loyal staff, namely George, who has been with the shop since 1973, Mandy, Erenst, John, and Lucky. Monument Park Shopping Centre is a convenience centre in the east of Pretoria. Out wide variety of shops include family orientated medical and therapeutical practitioners: doctors, pharmacists, a physiotherapist and a optometrist. Other tenants include banks, a post office, restaurants, hardware store, butchery, a Super Spar and much more!